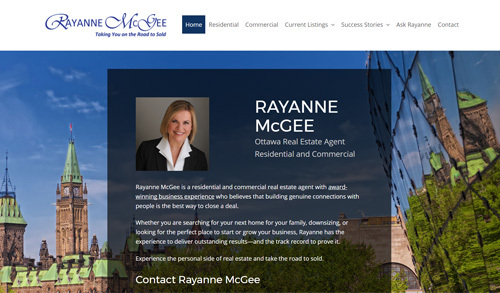 Description: Rayanne wanted to highlight her unique real estate strengths and provide listings for potential clients to browse through. We created an attractive site that shows off her stellar testimonials and provides a wealth of resources for buyers and sellers. It displays live residential and commercial MLS® listings with a sophisticated search function.